Like many visitors when I first came to Padangbai it was only to catch the boat to Lombok. Fortunately we had to stay one night to be able to do so and I had chance to discover how great this village actually is. Away from the touristic spots of the South around Sanur and Nusa Dua, Padangbai will give you the perfect retreat one may be looking for when coming to Bali for an authentic and active holiday. It is still a small fishing village and despite all the fast boats going to the Gilli Islands every day it has managed to keep its former charm. Padangbai has one of the best scuba diving locations Bali can offer and it is the right on our door step, not more than 5 minutes by boat. OK Divers Dive centre is situated just at the front beach and few of the dive sites you can see even from our swimming pool while you are relaxing with your ice cold Bintang. Sharks, turtles, cuttle fish, frog fish, rhinopia, robust or ornate ghost pipe fish, scorpion fish, rays, octopus or moray eels are only one of the few of the many marine species Padangbai has to offer. For more information about diving in Padangbai click here. If you are a scuba diver and arriving on Bali, we believe Padangbai is the best spot for you, even if we were to forget about the stunning local diving spots. If you would like to seae Manta rays, Mola Mola (sun fish, moon fish), maybe even some diving on the amazingly beautiful coral reefs of North Nusa Penida or Gili Mimpang and Tepekong, you will find yourself at the best location. Short boat drives will take you to the dive sites of your dreams. Unlike the famous Gili Travangan and Air the areas around Padangbai never suffer tragic dynamite fishing and we still have healthy corals full of life on nearly every dive spot you choose. We do not call our spot names based on nostalgia from the past, our Manta Point or a Shark point still actually have plenty of sharks or Manta rays. Padangbai has developed many facilities that cater for tourists, despite this fact the village has still managed to keep its Balinese charm. For many regulars which have been coming to Padangbai for more than 15 years now, the village has never lost its magic and they can still find the old Bali around here without trying very hard. If you would like to see traditional ceremonies which are not performed for tourists amusement, maybe witness a rooster fight or go fishing with local fisherman in their traditional boats named jukungs while still having access to comfortable accommodation and tasty restaurants, Padangbai is the place to be. 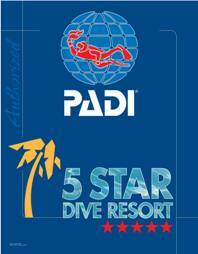 OK Divers in Padangbai can help you to organise all aspects of your scuba or non scuba diving holiday. If you have any questions please send us an email or just leave a comment below and we will be more than happy to assist in any way we can.